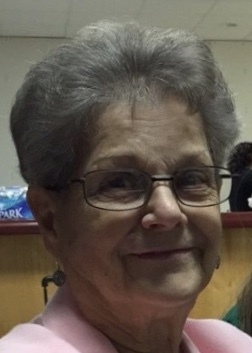 Obituary for Connie (Stoops) Shortall | Moore Funeral Home, P.A. Constance S. Shortall (Connie) of Denton, MD died peacefully on Friday, March 16, 2018, surrounded by her loving family. She was 78 years old. Born in Ridgely, MD on July 24, 1939, Connie was the daughter of the late Clinton and Marianne Louise Wilson Stoops. Connie graduated from Caroline High School in 1957. Four years after graduation, she married Joe Shortall and they started a wonderful journey together. Mrs. Shortall ended her working career as a secretary for the Caroline Co. Health Department. Mrs. Shortall was a member of the American Legion Ladies Auxiliary Post 29, Wye Mills Homemakers and an active member of the Deborah Circle at St. Luke’s United Methodist Church. She also volunteered at Denton Elementary, while her grandchildren were in attendance. Crafting brought almost as much joy as her grandchildren. Connie truly loved to craft. Her talents varied from making clothing to ornaments. You name it, she could craft it. In addition to her husband Joe, Connie is survived by two sons: Bret Shortall (Jennifer) of Denton, Bart Shortall (Angie) of Denton; four grandchildren: Alyssa (Keith), Brady, Megan and Emily. She is predeceased by her brother, Clinton “Butch” Stoops and a niece, Amy Stoops Rhodes. Funeral services for Mrs. Shortall will be held at 11 a.m. on Saturday, March 24, 2018 at St. Luke’s UMC, 100 S. 5th Ave. in Denton. Friends may visit with the family from 9:30 until 11. The interment will be private. If friends wish to send memorial donations, the family suggests Caroline Hospice Foundation, 613 S. 5th Ave., Denton, MD 21629. 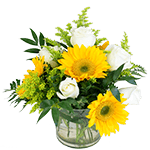 To offer online condolences and tributes, please visit moorefuneralhomepa.com.